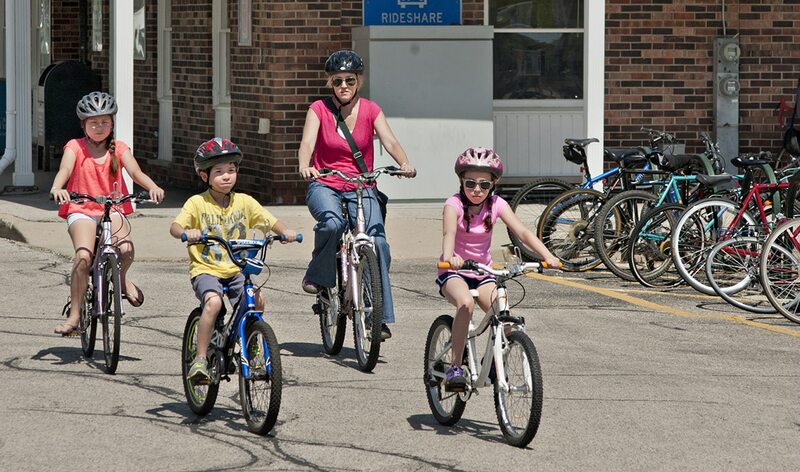 Ride Illinois’s kids’ bike safety sheets: We have versions for Older Kids and Younger Kids elementary school children and parent tips. BikeSafetyQuiz.com: Ride Illinois’s bike safety quiz has a version for children, geared mainly for 4th and 5th graders (or younger, with adult help). Users learn key safety techniques and relevant state laws in an interactive quiz format. Kids On Bikes In Illinois: A 12-page pamphlet previously printed by the Illinois Department of Transportation. Bicycle Rules of the Road: From the Illinois Secretary of State, an eight-page booklet with general rules for all bicyclists, but geared toward younger riders. Winter Biking with Kids: Written by Ride Illinois Program Director Gin Kilgore, this piece covers clothes, visibility, and different options for carrying kids when the temperature drops, and the days shorten. YouTube video for kids, on wearing bike helmets: By John from Chicago, a young cyclist who needed emergency surgery to save his life, after crashing without a helmet. Guide To Bicycle Rodeos: We recommend this detailed guide for those conducting bike rodeos.